All the useful information that you need to know before sending money with WorldRemit! WorldRemit is an online money transfer service provider to people and especially to the migrant communities. It offers the flexibility of paying the amount to users in more than 145 countries from 50 countries in 30+ currencies. Customers can choose from multiple methods to send money overseas, including bank deposit, cash pick-up, Mobile Money, or airtime top-up. With any option and any device, the transfer procedure is designed to be simple; users choose their country, including the recipient details, and send their desired amount. WorldRemit money transfer offers competitive prices where customers can send money with a service fee ranging in between absolutely FREE to $10. This fee has been charged depending on the mode of payment, i.e., bank, card or any other and the country of the recipient. All the fees and exchange rates will be displayed upfront once you enter all the details. So, you will know exactly how much you’ll pay in transferring the funds. One can send $9,000 per day through WorldRemit. You may also get free transactions using WorldRemit promo code, where you may get partial or full cashback of the fee you paid during the transaction. It has been providing the best security to the customers from the past 8 years. It monitors the unusual behaviour so that one can stay worry-free about the personal data. Pricing : How much does WorldRemit cost? WorldRemit offers locked in exchange rate depending on the >pay-out method so that you can know how much money will reach to your recipient. WorldRemit fee will depend on the pay-out method you want to choose for your money transfer like fees for cash pickup can be higher than for a bank deposit. WorldRemit Bank Deposit: In this pay-out method, money will be credited to the bank account of your recipient. They will then be able to withdraw the funds as cash, use them to make payments, or make an onwards bank transfer. WorldRemit Cash Pickup: In this method, the money you send will be available for pickup in cash at a local agent location of a WorldRemit locations partner. WorldRemit Mobile Money: It allows you to send money to a mobile money account also known as a mobile wallet, such as Vodafone, Airtel, Globe Cash, Tigo, etc. so that your recipient can get money anywhere at any time. WorldRemit Airtime Top-up: You can also choose to top-up your recipient’s mobile airtime to make calls or send SMS text messages. So, under the pricing head, we rate WorldRemit 8 out of 10. Transparency: Does WorldRemit have any hidden fees? WorldRemit does not charge any hidden fees from the users. If you are transacting through debit or credit card, you should be aware that your card provider might charge you a cash advance fee. Also, if you are sending an airtime top-up, note that some countries apply taxes, which will reduce the amount of airtime received by your recipient. If this is the case, WorldRemit will warn you before you complete your transfer. So, the company will make you assure before the transaction on how much fee you have to pay for the transfer. Customers can also track the details of the transaction through the transaction number provided by the company. Once you complete the transfer, this transaction number will help you to know how much time it will be going to take in reaching the funds to the recipient. Besides this, the company also sends the confirmation regarding the transaction through mail and SMS. 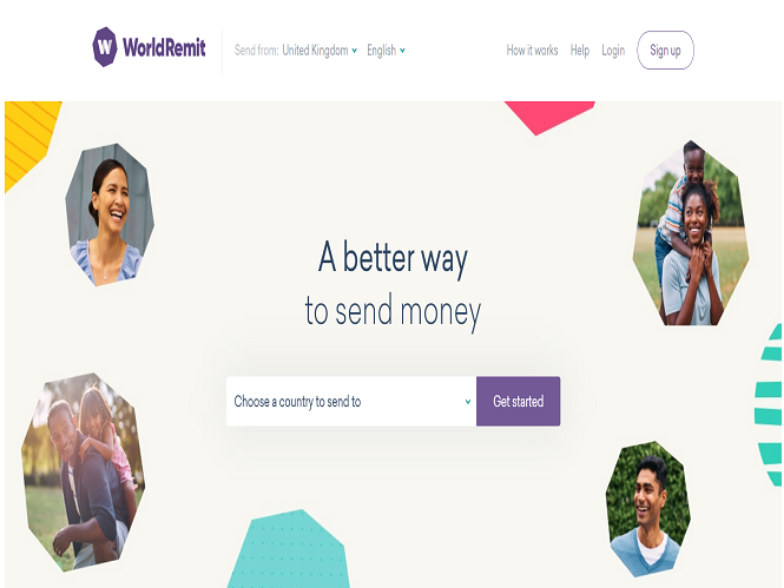 Transfer Speed: How long does it take to send money through WorldRemit? Security : Is WorldRemit Safe? Cyber attacks could irreparably damage you and your savings; therefore it is utmost necessary to know if the online money transfer is safe or not. For your privacy, WorldRemit money transfer protects its customers from frauds through various ways providing them physical, technical, electronic, and administrative safeguards. All connections to WorldRemit through their website and mobile app are secured using 256-bit SSL encryption with a 2048-bit signature. For more safety of the customers, WorldRemit destroys the information of people in 8 years after you terminate your transactions with the company. So, you can trust the company with your personal details and privacy. We believe that it has one of the best privacy policies amongst its competitors and therefore, here it deserves 10 out of 10. WorldRemit is a highly responsive website. Once you select the country, it will show the currency automatically and provide the exchange rate once you enter the amount with zero clicks. The sign in process in Worldremit is also easy. It is also providing its mobile apps, so that, you can send the money instantly from wherever you are. You can download WorldRemit apps here (WorldRemit Android App and WorldRemit iOS App). You can check the exchange rates on the app without signing up or login. WorldRemit’s overall money transfer process from registration, transfer and tracking is really seamless and easy to understand. A good UI & UX flow also helps. A detailed FAQ section on the website answers most of the relevant questions of the customers. The phone and email support are available on the site for any other queries. These payment options are available in various countries, depending on their registration with the above-provided transfer modes. Bank deposits and cash pickups are the most used and affordable money transfer process in WorldRemit. It also provides 100% refund if there is any issue with the transfer process, so, customers trust the company very much with their money. As per user experience, we rate 9 out of 10 to WorldRemit, because it is offering the best services to the private transfers. It does not provide business transfer, which is also essential in the online world, so, if it starts providing this service, we may give it full ratings. Coverage: How many Countries & Currencies does WorldRemit support? WorldRemit offers personal transfers to individuals and not the business as well as charitable transfer, so we feel that it has many areas for growth. For using the services of WorldRemit login here. If you are a new user, then you can enter the details here for WorldRemit Sign up. Easy and quick to send money. Easy to transfer money and just a minute my recipient received the text that the money was ready to collect. And Service charge are just ok not so expensive. Extremely wonderful service. Very competitive, safer, logical and cheaper than other services. It's been long overdue waiting for your support service.Bravo! i have used this company in the past with no problems, how ever i tried to make a simple transfer to my wife in costa rica which went through fine on their website and the money left my account, only to receive an email saying that they have decided to go through with the transfer and that they have deactivated my account and cant give me a reason for it for legal issues. took them a week to refund me and a lot of distress of not knowing why and if i would ever get my money back. I cancelled my transaction, it takes 2 weeks to get my money back. Very easy to use, simple to layout and quick to sign up. The money came through that day, couldn't have asked for more. Very good exchange rate and the fee for the transfer is unbeatable! Thanks WorldRemit! I would recommend this company to anyone, Fast and easy transaction, Money was deposited within 5 minutes. I thought it was great! Convenient. Simple. Fast. and Safe. Timely and as expected, however, not the best exchange rate and there was a fee charged in spite of the first 3 transfers would be free of charge. Missing Money: Not Paid Out but "Order Collected"
Go to WorldRemit website and choose the country you want to send money on its home page. You will be redirected to the next page. Here select the mode of payment and the amount you want to send. It will show the details how much amount you need to pay including fees. Now you need to enter the recipient information. Re-check the information and click on “Send”. You will receive the SMS and mail on your registered email ID regarding the transfer. It will also provide you with the transaction tracking number, through which you can check your transaction process.